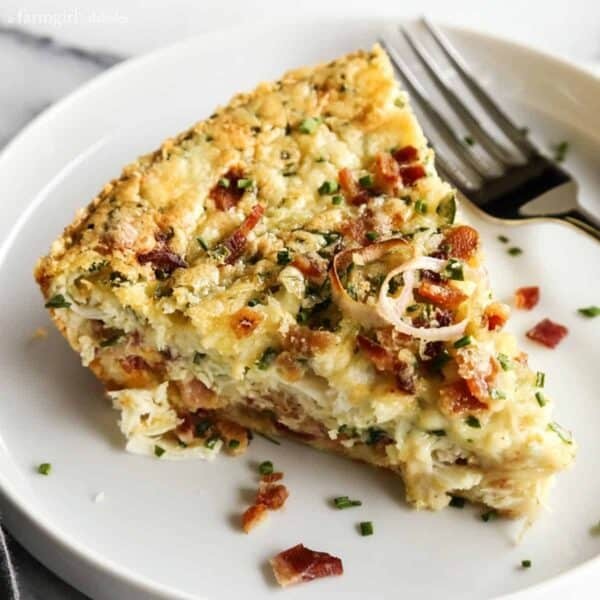 The texture and flavor of crabmeat shines through in every single bite of this Herby Crustless Quiche with Crab and Bacon. If I could choose the perfect assortment of dishes to assemble onto my brunch plate, at the core would be a great egg dish (see this one and this one! ), accompanied by a couple slices of bacon, a small fresh breakfast salad, and a bit of fresh fruit. 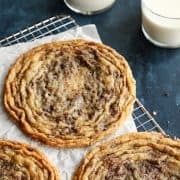 And a warm scone, muffin, or caramel roll slathered in soft butter would definitely be a sweet bonus! For the holidays, I wanted to create a special egg dish for brunching, a bit more celebratory for the season. And all my thoughts kept steering back to seafood. 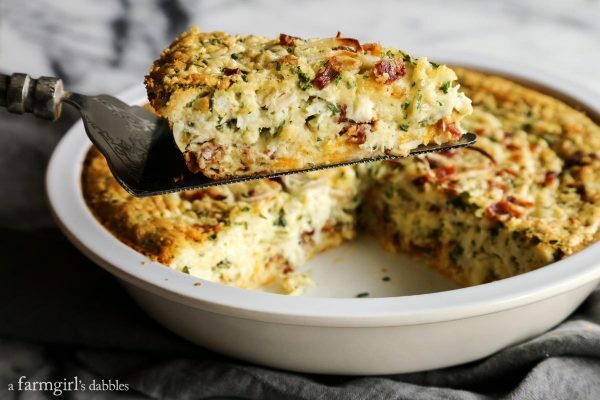 This Herby Crustless Quiche with Crab and Bacon is everything I could want in an egg dish. 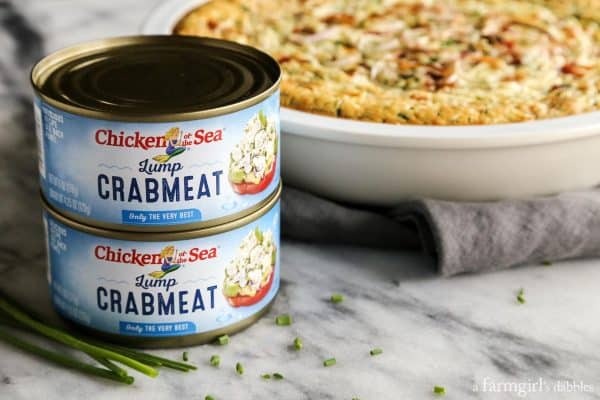 It’s protein-substantial, plus incredibly flavorful with its cheeses, herbs, crabmeat, and bacon. 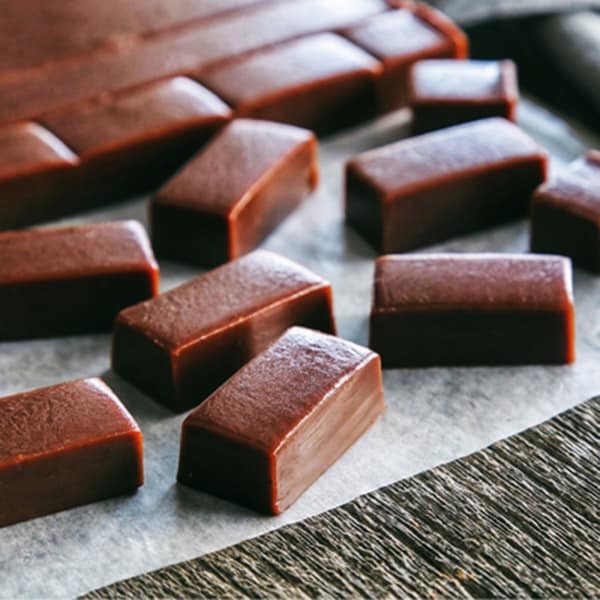 I am crazy for how fabulously delicious it is! 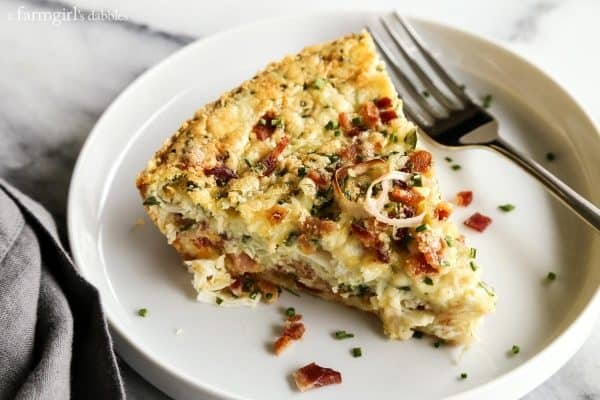 Frying the bacon is the most time consuming part of preparing this crustless quiche. The rest comes together in quick order with a little slicing and chopping. 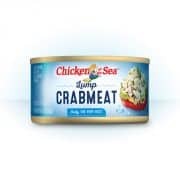 And the crabmeat itself is a breeze to incorporate, thanks to lump crabmeat from Chicken of the Sea. I am grateful to have this crabmeat in our pantry, for ease in creating dishes such as this. 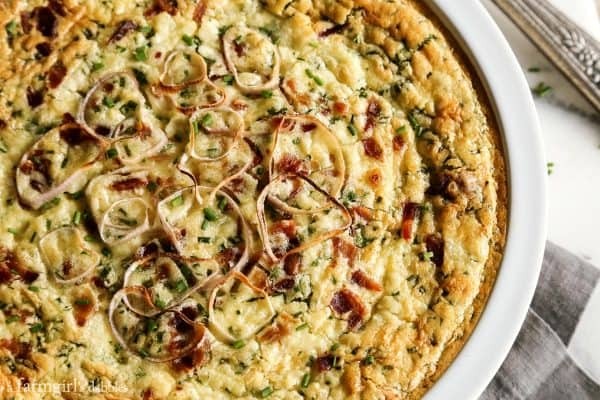 There are chopped shallots inside the quiche, plus thin whole slices scattered over the top. Shallots, to me, are a beautiful way to upgrade any dish, but I especially like to use them with eggs. 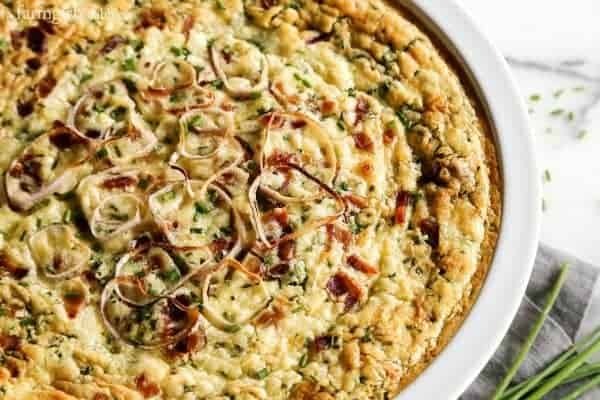 This crustless quiche with crab is tender due to the cream and cheeses, but also tall and substantial and hearty in the most beautiful way. I love that the texture and flavor of the crabmeat shines through in every single bite. 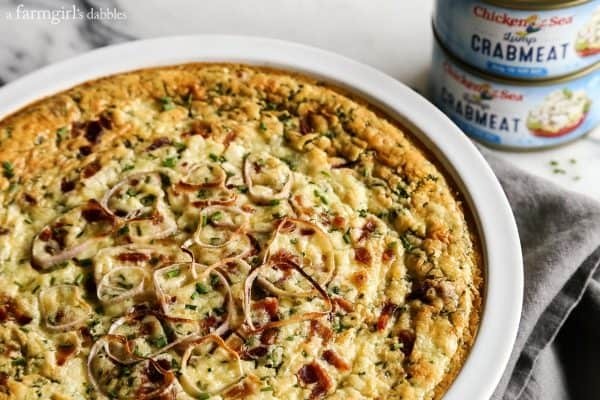 This crustless quiche with crab is likely to disappear quickly, but it’s one of those dishes where you hope to find a few slices still remaining in the pan when brunch is over. Because it’s a leftover dream, a much welcomed wedge of comfort come Monday morning after the weekend brunching is done. 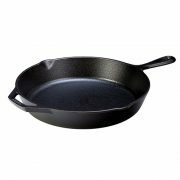 In a large skillet over medium to medium-high heat, cook bacon until evenly browned, taking care to not over cook. Remove from skillet to a paper towel lined plate to cool a bit. Then chop into 1/4″ to 1/2″ sized pieces. 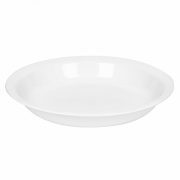 Lightly butter a 9″ pie pan. Add Swiss cheese, Monterey Jack cheese, and then bacon to bottom of pie pan, distributing evenly. In a large bowl, whisk together cream and flour. 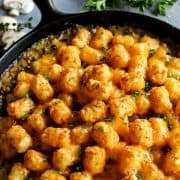 Then whisk in eggs, Parmesan cheese, minced shallots, chives, parsley, cilantro, 2 tablespoons of the melted butter, Old Bay seasoning, kosher salt, and black pepper. Gently fold in the lump crabmeat. Pour mixture into pie plate and top with shallot rings. Bake until set, about 50 to 55 minutes. Remove from oven and let rest for about 15 minutes before slicing into wedges. 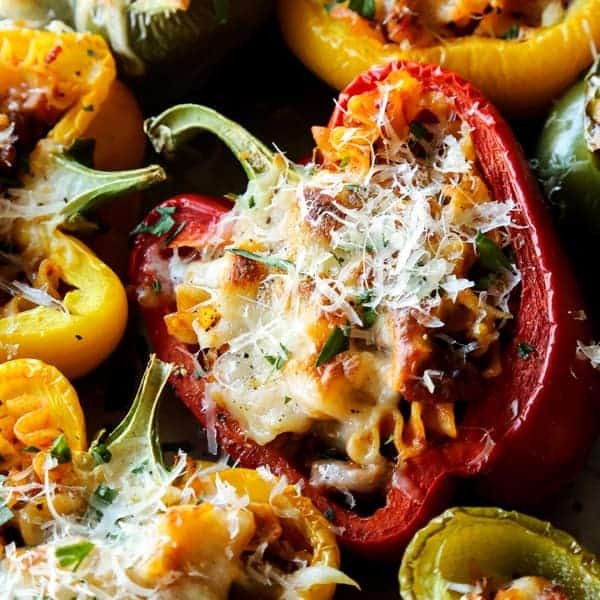 Serve hot, with a sprinkling of chopped fresh chives over the top if desired. Can you use any flour? Such as coconut or almond flour? This looks insanely good. I bet my family would love this. Thank you, Kim – I hope you give it a try! This is the ultimate brunch meal!! I love the crab and bacon combo! I have to agree. :) Thanks, Julia – Merry Christmas to you and yours! 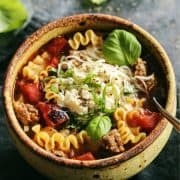 Are those shallots on top? OH MY FAVORITE! 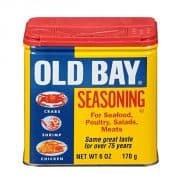 And crab, too? 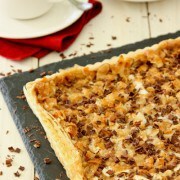 This looks fantastic for Christmas Brunch, Brenda! 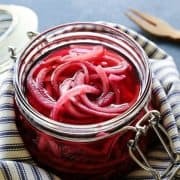 I use shallots more and more and more! Thanks, Sandy! 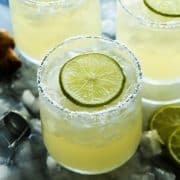 Looks so delicious!! I can’t wait to try this flavor combination!! That quiche looks amazing! 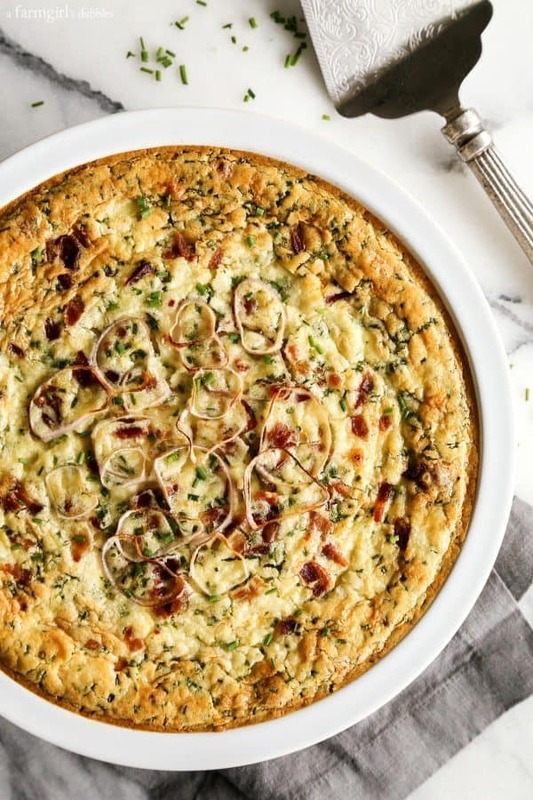 Quiche is one of my favorite foods and I can’t wait to try this. 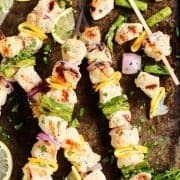 Love how you mixed crab and bacon into this recipe! Looks great. Thank you so much, Naomi – I hope your family is having a great holiday season! Perfect quiche for the holidays! Crab is a fabulous addition! Crab is something that always feels special – thanks Lauren! I LOVE that you made this crustless! And pairing crab and bacon? NEED. I usually aim to please the family when it comes to cooking and baking. But I do have to step outside their box once in awhile and make something “just for me”. I totally agree, make this! This looks amazing. And I love the crustless version. 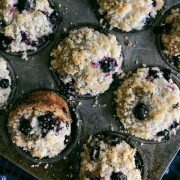 There are getting to be more and more GF friends in our life – I love having this beautiful recipe in my back pocket!